The Russian president is scheduled to speak at the UN for the first time in a decade. Will he use the opportunity to mend fences with the international community, or further defend his controversial foreign policy positions? According to the pundits, the 70th Session of the U.N. General Assembly in New York, which opened yesterday, could be the scene of a blazing rhetorical battle. The General Debate, which begins Sept. 28, is currently slated to feature speeches in succession by U.S. President Barack Obama, China’s leader Xi Jinping, Russian President Vladimir Putin and Iran head Hassan Rouhani on the very first day of the gathering. In today’s turbulent times, the U.N. General Assembly is perhaps the only place where such a diverse range of speakers can gather under one roof for such a discussion. Of course, the ceremonial nature of the 70th anniversary of the event will leave a mark on the content of the speeches, and the leaders of the great powers are unlikely to set about listing their grievances without prolix preambles and platitudes. Rather, attentive listeners will have to read between the lines and fish out their own interpretations from the stream of evasive phrases and allusions. It has become common in recent years for one maverick speaker to shake up the rhetoric and bring some life to the staid proceedings. Previously, this role has been played by the presidents of Iran and Venezuela. But at the 70th Session of the General Assembly the bookies’ odds-on favorite is Vladimir Putin. All eyes and ears will be tuned to the Russian president on Sept. 28, expecting juicy denunciations of the United States and its allies, and off-the-wall solutions to international exigencies. But all told, such grand expectations may well be in vain. Not only should obsevers consider that Putin may not make such declarations — he may decide not to make an appearance at all, instead deciding to send a subordinate to give the speech. The fact is that in today’s international climate, particularly in the U.N., it is hard for the Russian president to take the moral high ground over his opponents. And without the certainty of victory, Putin will not act — or will at least limit himself to a formal address. 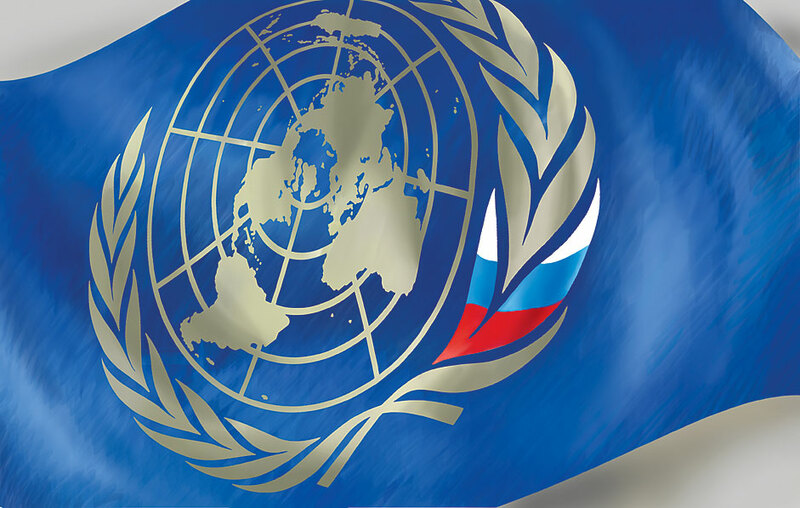 Over the 70-year history of the organization, relations between the United Nation and Russia have fluctuated wildly. For most of the first decade of its existence, the United Nations in the eyes of Moscow was an enemy stronghold and a tool for the Western countries who had a firm majority in the General Assembly to exert pressure on the Soviet Union. After the death of Joseph Stalin and Nikita Khrushchev’s rise to power, the Soviet attitude to the U.N. made an about-face. The admission of new countries was now welcomed, and the Kremlin began to view the General Assembly as the ideal platform from which to spread its influence among the newly independent countries of the developing world. In the fall of 1960, Khrushchev’s visit to New York to attend the 15th Session of the General Assembly lasted three weeks, during which time the Soviet leader actively engaged in the discussions and attracted global attention. Suffice it to recall the infamous shoe-banging incident in protest against what he regarded as “anti-Soviet” statements. But this carefully built construct began to crumble in the late 1970s, when the aging Soviet leadership embarked on its own foreign policy misadventure in Afghanistan. As a consequence, the U.N. General Assembly swiftly turned from being a champion of Soviet foreign policy into its harshest critic. Forceful intervention in the affairs of small and medium-sized countries unable to resist was not to the liking of most members of the General Assembly. The Soviet Union’s reputation in the U.N. was restored by Mikhail Gorbachev and his “new thinking” in matters of foreign policy. Gorbachev’s speech at the U.N. General Assembly on Dec. 8, 1988, was one of the most striking episodes in the organization’s history and seemed to herald a new era of international cooperation. After the collapse of the Soviet Union, the new Russia tried for a while to preserve and build on the political capital gained from “the Gorby effect,” persistently calling for the U.N. to play a greater role in interntional affairs. This position was welcomed, especially in light of the openly disdainful attitude toward the U.N. on the part of the United States. But in the second decade of the 21st century, Russia has decisively waved goodbye to the legacy of Gorbachev’s foreign policy. If Putin decides to devote his speech at the 70th Session of the U.N. General Assembly to the need for strict observance of international law and a more prominent role for the U.N., he might simply be catcalled. For many years, Moscow subjected Washington to legitimate criticism, but now the Kremlin has demonstrated by example that it recognizes no other means in the defense of national interests other than power politics in circumvention of all international institutions. Having made this “coming-out,” Russia has effectively nullified the many years of image-building in the eyes of the U.N.; the goodwill toward Brezhnev’s Soviet Union in the late 1970s is but a distant memory. Fast forward to today and the reality is that appeals by the Russian president to the anti-Americanism of some delegations in the hall will not work. For many, modern Russia is no better than the United States — it, too, is a great-power predator that is only looking out for No. 1. This being the case, Vladimir Putin’s best option when speaking from the U.N. podium is to refrain from making bombastic statements about respect for international law, and from accusing the United States of numerous mortal sins. In any case, there is no way that he can surpass the oddball rhetoric of Fidel Castro, Hugo Chavez or Mahmoud Ahmadinejad. As the leader of a great power, Putin should deliver a realistic assessment of the current threats, primarily the Islamic State, and show a commitment to creating a mechanism of international cooperation that can withstand them, preferably under the auspices of the U.N.. However, given the present state of Russia-West relations, such cooperation is wishful thinking. Ivan Tsvetkov is an associate professor of American studies in the international relations department of St. Petersburg State University.